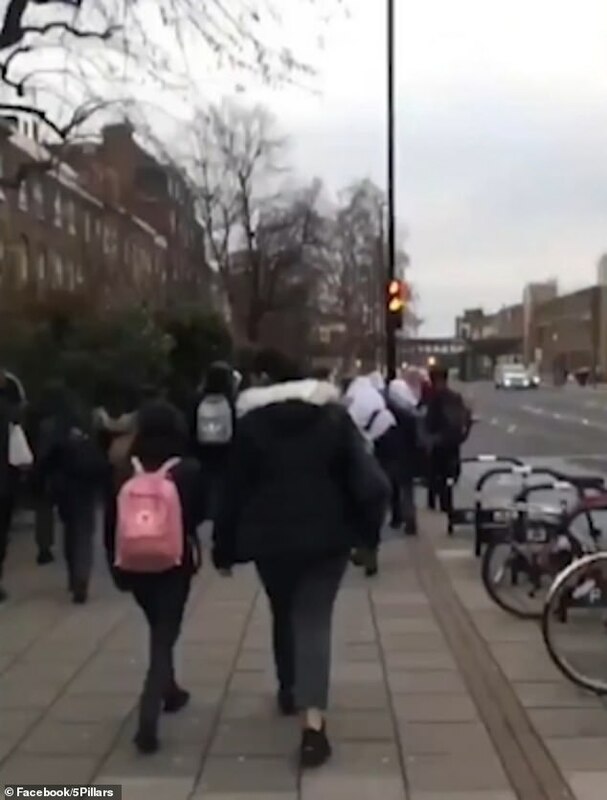 The clip filmed on Friday afternoon shows a group of female pupils outside the Central Foundation Girls’ School in Bow, east London. In it a man can be heard making horrendous comments about the young girls, referring to them as ‘black c***s with f***** sarees on’. He says: ‘As you can see, this lot coming out the f***** school, all these black c***s here. The man even cites Nazism and says the girls should be sterilised in an experiment similar to those carried out by Dr Josef Mengele, known as the ‘Angel of Death’. He makes further racist remarks like ‘This was England’ before the clip cuts out. 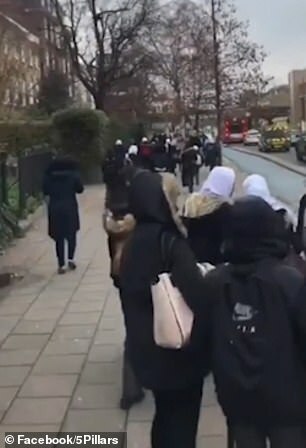 A Met Police spokesman said: ‘On Friday January 25, police received reports of racist and abusive video footage posted online. 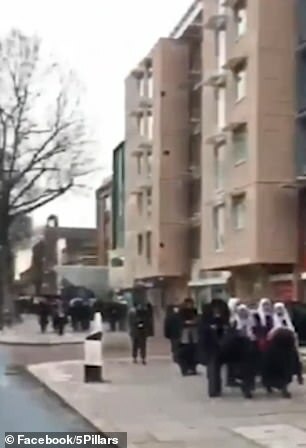 ‘The footage is believed to have been captured in Tower Hamlets and shows schoolgirls, some of whom are wearing hijab head coverings. ‘A male voice can be heard on the clip providing abusive and offensive commentary. ‘The children appeared unaware of the filming and no allegations have been made to police. Enquiries continue. 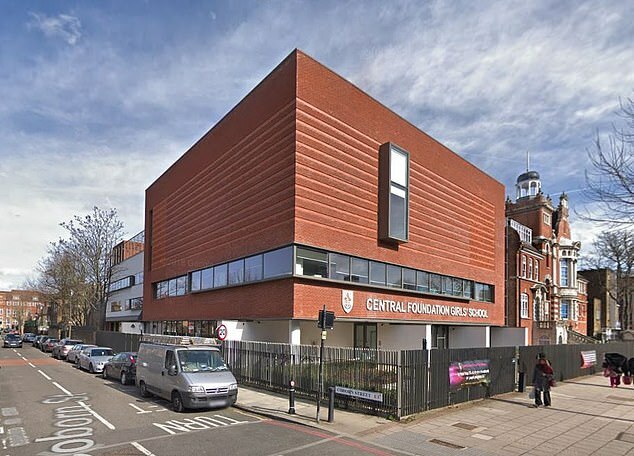 In a joint statement with another Tower Hamlets councillor, Mayor John Biggs said: ‘We are aware of the video that has been circulated showing a man making extremely offensive comments outside Central Foundation Girls School. ‘We condemn the use of this inflammatory rhetoric. Tower Hamlets is home to people from all over the world and we are proud of our history which has been enriched by migration. ‘We will always challenge negativity like this and stand up for all our community. ‘The police has been made aware of this. ‘We have also been in touch with the school and will be offering them support and continuing to monitor this situation. 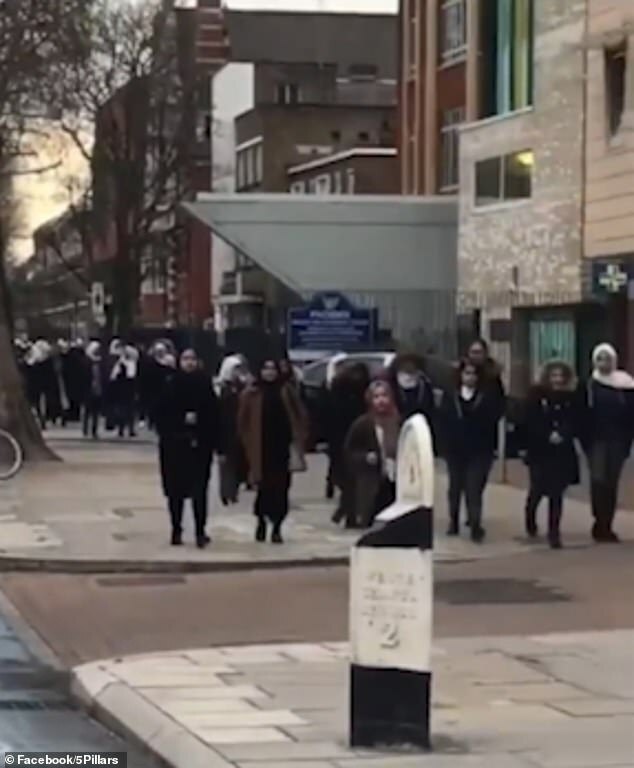 The video was uploaded to social media on Saturday by a concerned local, who wrote: ‘Who was it who said Islamophobia doesnt exist? MailOnline has contacted Central Foundation for further comment.